COE 2013 Annual Conference - Call for Content Closes October 12! 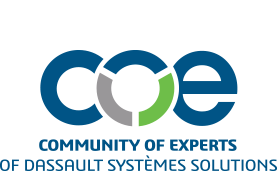 Submit Your Abstract For the COE 2013 Annual PLM Conference & TechniFair by October 12 COE's Annual Conference content will provide a view of where the Dassault Systèmes products are headed along with an emphasis on how users are "Making it Work". Attendees of this session will learn how this technology can save time and optimize processes by linking engineering and manufacturing knowledge in the context of the machine simulation. They’ll learn how to increase machine quality and performance as well as collaboration between teams.